Mobile technologies have changed our lives. They’ve revolutionized the way we communicate, how we manage daily chores and tasks, and even how we find our way from place to place. Mobile devices are ubiquitous — 91 percent of adults report having a mobile device within reach at all times, and a Milward Brown study of mobile device users in 30 countries found that the average user spends 147 minutes a day on his or her smartphone. The health care industry is poised to take advantage of this newfound hyper-connectivity, by exploiting mobile tech’s potential to vastly improve patient care. Mobile devices, coupled with home care software and apps, could allow home care agencies and primary care physicians to make more efficient use of their time and resources, managing more patients and helping to ease the primary provider shortage. Patients love mobile health care technologies, too; home health software could help patients better manage their conditions, seek care for minor medical problems, and empower them to be more proactive about their health and more engaged in their own care than ever before. Could Mobile Tech Fix America’s Provider Problem? Most people would agree that the American health care system has problems — and one of those problems is a shortage of primary care providers. Fortune magazine reports that the Association of American Medical Colleges anticipates a shortfall of over 90,000 physicians by the year 2018. Smartphones, wearables, and other mobile technology could be part of the solution, because these technologies could essentially allow doctors to spread themselves thinner without sacrificing quality patient care. Mobile technology has the potential to collect unprecedented amounts of patient data. From edible microchips that could help doctors monitor patient medication adherence to wearables that collect data on blood sugar, blood pressure, and cholesterol levels, physicians will soon have access to mountains of information they can use to monitor patients from afar. Thanks to mobile communications technology, patients are even now able to receive minor medical care without ever setting foot in a doctor’s office. In the near future, physicians will be able to closely monitor and interact with dozens more patients than they can care for now. They’ll be able to use communications technology and apps to impart medical advice to these patients from afar, keep tabs on patient adherence, and call patients in for in-person office visits only when it’s strictly necessary. Because they won’t be spending so much time seeing patients who don’t really need to meet face-to-face with a doctor, they’ll be able to take more time and provide better care to the patients they do see. Meanwhile, patients will have the information and support they need to make informed decisions about their own care. 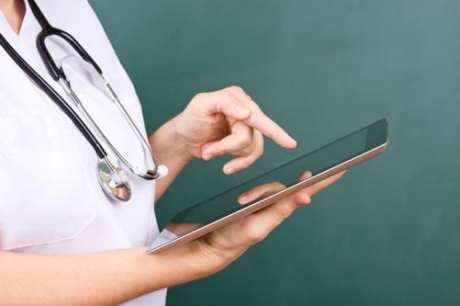 Home health care agencies can benefit from mobile technologies, too. Home care software and apps can make it easy for agencies to handle billing scheduling, and patient information, to deliver higher-quality, more error-free care. Patients and their loved ones can use these same apps to coordinate care with home health aides and nurses, and keep track of their own medical needs. Mobile technologies are already empowering patients. Eighty-five percent of health apps currently on the market are wellness apps, designed to be used by patients and consumers to take control of their own health. These include physical fitness and training apps, calorie-counting apps, period-tracking apps, pregnancy-tracking apps, and even apps that calculate your heart rate and blood glucose levels or track your sleep cycle to wake you up at the optimum time. These apps take much of the headache out of monitoring your fitness levels and make it easier than ever to stay on top of chronic medical conditions or prevent them altogether. Medical apps that allow patients to seek medical care for minor issues without leaving home are a godsend for patients with low mobility — or even for those who lead busy lives and don’t want to have to bundle the whole family into the minivan for a trip to the nearest urgent care if they can’t help it. Thanks to these technologies, it is — or soon will be — possible to deliver the best medical care in history to the highest number of patients ever. Smartphones and other mobile devices have changed every aspect of the way we live now — including the way we take care of our health. Patients are already using mobile devices and apps to take charge of their health, and providers are increasingly relying on them to enhance the quality of the care they’re able to provide. And the mobile revolution is only beginning — the future will surely bring even more remarkable advances in the way we monitor and improve our health.